Wild Oak Farms is a quiet neighborhood in Fountain, CO, located on the East & West sides of Fountain Mesa Boulevard just North of E. Ohio Avenue. This neighborhood is only minutes from John Metcalf Park. This 40-acre park has a dog park, three baseball fields, a horse arena, a skate park, and great playgrounds for the kids. Wild Oaks Farms is also just a few minutes away from downtown Fountain, with a local library, courthouse, and U.S. Post Office. Most of the homes for sale in Wild Oak Farms are between 1,000 to 2,500 square feet in size and were built from 1984 to 2005. Most of the homes in the neighborhood are ranch and 2-story style with 2-car garages. There are a few tri-level and bi-level homes as well. Wild Oak Farms does not have a mandatory Homeowners Association at this time. 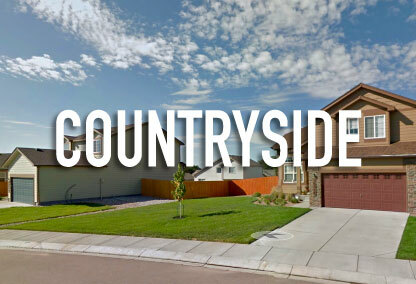 This neighborhood is zoned to Fountain School District 8 with Eagleside Elementary, Fountain Middle School, and Fort Carson High School as the primary schools for the kids in the community. Wild Oaks Farms is considered to be part of the Fountain MLS area within zip code 80817.